Paulette Harper is an emerging Christian Author making her debut with her first inspirational book That Was Then, This Is Now, This Broken Vessel Restored, a compelling story of deception, heart-ache and ultimate victory. In 10 chapters she masterfully uncovers the hidden obstacles she faced as the “first lady” and how she eventually broke through those barriers. A native of Pittsburg, CA, Paulette travels as an Inspirational speaker and licensed minister teaching people how to overcome life’s unexpected experiences by delivering a strong message of hope. 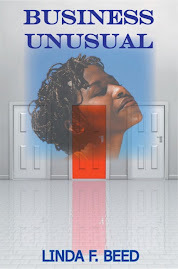 Beyond her writing ability she has a passion to lead people to a clear and precise understanding of how life challenges can become one’s ultimate source of victory by sharing solid, biblical principles that will enable people to find a way out of every trial so they can reach their God given potential. Paulette, tell us about yourself. I am a native Californian, inspirational speaker, Christian inspirational author, licensed minister, workshop facilitator and founder of Broken Vessel Ministry. When did you begin to realize God was calling you to write? My writing journey started in Jan 2007. I really believed that God wanted me to share how I overcame the testing and trials in my own life and how I could bring hope to those facing hard and challenging issues today. Tell us about That Was Then, This Is Now, This Broken Vessel Restored. In That Was Then, This Now I chronicle a time in my life in which I faced one of the most devastating events in which I had to overcome. It is a heart-felt story of my lost from divorce but ultimately the victory God gave me by standing, enduring and having the audacity to believe Him through it all. The inspiration or influence came from God of course, but I wanted God to use my life experiences to help bring hope, encouragement and healing to those who are hurting. I wanted something good to come out of my disappointment, my set-backs and trials that would cause anyone who would read my book to be optimistic regardless of the circumstances. I was certain that this was the direction He wanted me to take. What do you hope readers will learn/discover from reading That Was Then, This Is Now, This Broken Vessel Restored? I want my readers to get inspired, encouraged and empowered. When they read my book they will realize that God is able to bring total restoration no matter how difficult the situation, circumstances or trials. The inspiration will come because they would have read about the life of someone who made it through. They will be encouraged because in the book I give them the worse situations but those situations come with scriptures that they can use to help them with what they are facing. People will definitely be empowered, empowered to face everything in life. What advice can you give to a woman experiencing bitterness due to a broken relationship? And whenever you stand praying, if you have anything against anyone, forgive him and let it drop (leave it, let it go), in order that your Father Who is in heaven may also forgive you your [own] failings and shortcomings and let them drop. But if you do not forgive, neither will your Father in heaven forgive your failings and shortcomings. Once you release those that have offended you God will began restore and heal you of the bruises and scars. Read Chapter 2 of That Was Then, This Is Now: Don't Get Bitter, Get Better. Where can readers order your book online? That Was, Then This Is Now is available on CD, digital download, e-book and paper back at www.tatepublishing.com or Amazon, Barnes & Nobles and at all your major bookstores. 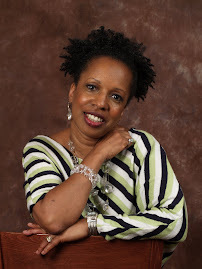 For more information about Paulette and her new release “That Was Then, This Is Now” visit: www.bvministry.org. See the February Book Review Below. Thank you, Linda for participating in the tour. I appreciate you! Wow! Sounds like a powerful book!